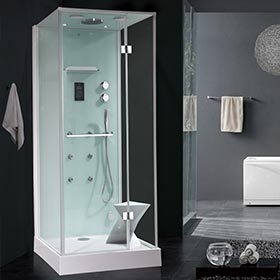 Sauna-SteamRoom - Aqua Hot Tubs - See all of our Sauna and Steam Rooms. Clears the Skin, Relieves Tension, Removes Toxins, Reduces Stress, Post-workout Relaxation, Can Aid Weight Loss, Opens Sinuses, Promotes Healthy Blood Flow, Can Increase Flexibility and can be Fun! Which should we choose? The difference between a sauna and a steam room can be summed up simply… dry vs. wet? 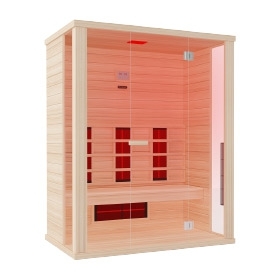 Saunas provide dry heat, while steam rooms generate moist heat. Both can open up your pores, loosen up your muscles and help you relax. Which one is right for you? It’s mostly a matter of personal preference. 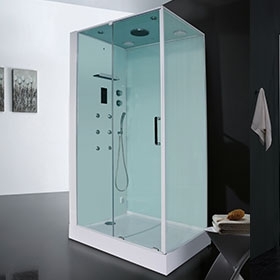 Wellis provide a range of Steam Rooms and Infra-Red based Sauna’s that are easy to install. Browse the range below to see the full range. helps to improve circulation throughout the body which can give the skin a healthy glow making your skin look and feel great. 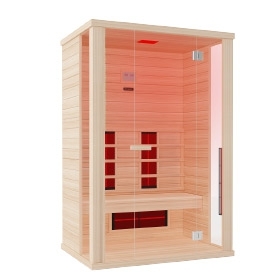 Removes Toxins: The heat from sauna and steam rooms makes your body sweat. Sweating relieves the body of waste products, and it is known that sitting in a sauna or steam room for around twenty minutes can rid the body of the day’s sweat and waste products. Reduces Stress: The heat from the sauna causes the body to release endorphin’s and other ‘feel good’ chemicals that reduce the feeling of stress on the body. Many people feel rejuvenated and calm after they leave sauna and steam rooms, and are ready to tackle the rest of the day. Post-workout Relaxation: Post exercise, muscles are in desperate need of relaxation in order to promote quick and healthy recovery. When your muscles are relaxed this recovery process which is vital for muscle gains is expedited and your muscles grow more quickly. Can Aid Weight Loss: Frequent visits to the steam room or saunas can potentially aid in weight loss as it is well known it can get rid of water weight. It is important to note however that this is not in replace of a balanced diet and exercise, and instead something to be used alongside both. 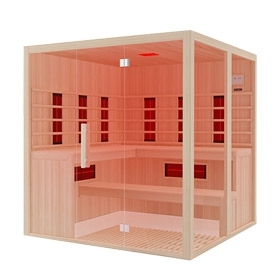 Opens Sinuses: Heat from saunas and steam rooms opens and thins the mucus membranes all around your body. Many people can notice their loosening mucus and can immediately breath easier when they first enter a steam room or sauna. With this in mind saunas and steam rooms can also be used to aid colds, as they can stop blocked sinuses and help aid breathing. 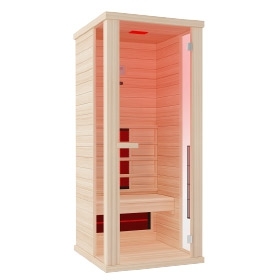 Promotes Healthy Blood Flow: The bodies capillaries dilate when they are exposed to the heat of the sauna or steam room which allows blood to flow freely and easily throughout the body, transporting oxygen to all areas of the body which needs it. to the heat penetrating your tired and stiff muscles making them more fluid and loose.